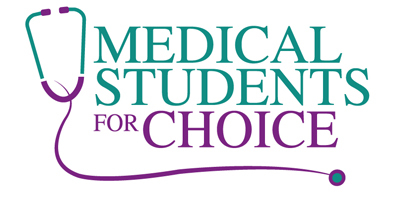 Medical Students for Choice is dedicated to ensuring that men and women receive the full range of reproductive healthcare choices. MSFC recognizes that one of the greatest obstacles to safe and legal abortion is the absence of trained providers. As medical students and residents, we work to make reproductive health care, including abortion, a part of standard medical education and residency training. Support medical student advocacy and programming. Support and advance education among medical students and the public about all aspects of reproductive health. Join us for a simulation night co-hosted by OB/GYN IG to learn how to perform a Manual Vacuum Aspiration along with vaginal delivery, IUD placement, and other skills! During this lunch talk, you'll get to hear from fourth-year students, who previously participated in the RHE and ATI, discuss their experiences and offer advice about applying to externship opportunities. Mixer with ASU law students from the Liberty Project, along with physicians, and residents who support access to reproductive health. Lunch talk with a reproductive specialist as part of Women's Health Week co-hosted with OB/GYN IG. UA-COMP students attended the 2017 Annual Conference on Family Planning held in Phoenix! As part of Women's Health Week on campus, Kelley Dupps, Public Policy Manager at Planned Parenthood AZ discussed the current state of reproductive health legislation in Arizona. As part of the OB/GYN SIM night, MSFC sponsored a Manual Vacuum Aspiration workshop, led by residents from local OB/GYN residencies.